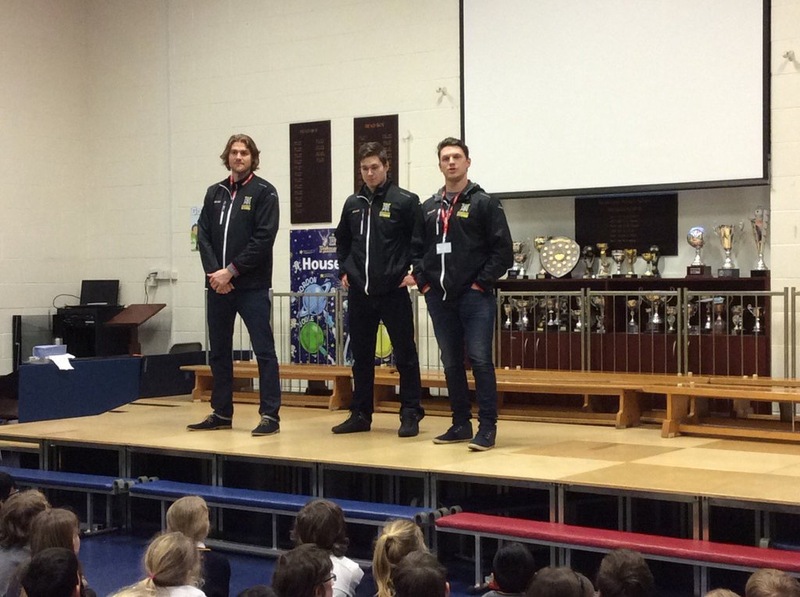 This afternoon saw Grant Toulmin, Paul Phillips, and Matt Paton of your Manchester Storm visit Brooklands Primary School to discuss healthy living and wellbeing with the students, as well as the life of being a pro-athlete. The players took questions from the students, and discussed in-depth the benefits of a healthy life style, as well as what it takes to be a pro-athlete in the modern age. 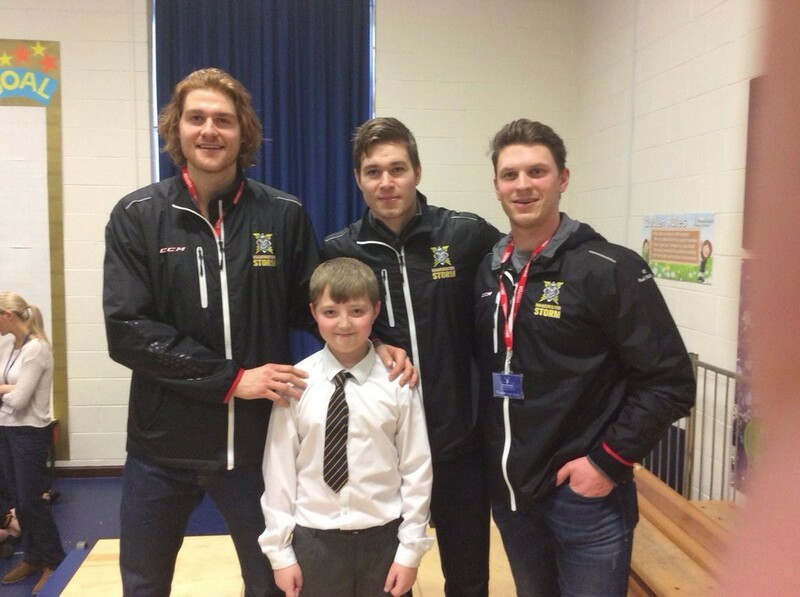 They also discussed the Storm and Ice Hockey, and how much fun there is to be had in the Storm Shelter on game day! 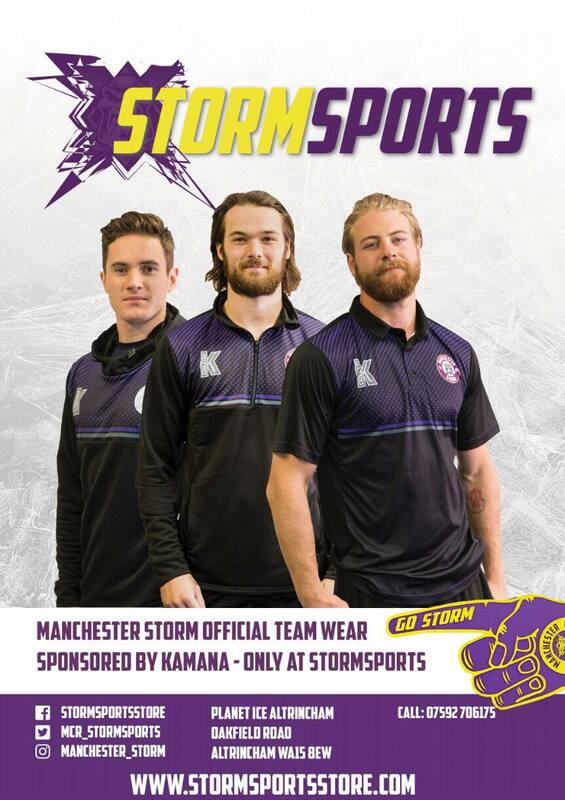 If your school or youth programme would be interested in having the Storm visit to discuss healthy living , please contact Hannah on [email protected] for further information.